NX are lubricated with oil. The end cap in NX has lubrication holes. NX..-Z are lubricated with grease. 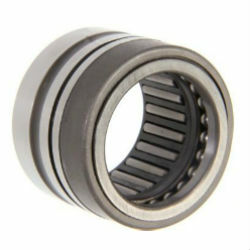 The axial bearing component is greased using a lithium complex soap grease to GA08. The end caps do not have lubrication holes.